I warned early on that there was likely to be an abundance of Gillian Welch songs on this site. * And as we haven’t had one for a while it seemed about time for another. Actually, this one was prompted by a comment left by Catherine on a previous post, with a specific request for a songsheet for this song, Revelator. At the time I didn’t have anything, but had looked at it previously and so took that as a prompt to pull something together. 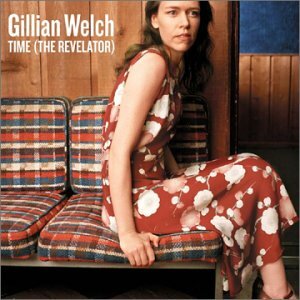 Revelator is the title track of Gillian’s third album, Time (The Revelator), the album that – after the “O Brother Where Art Thou” soundtrack – was my first introduction to Ms. Welch. And it is one of the slow-burning songs of which she is a master (or should that be mistress?!). Whilst the theme of the song is a not always clear, there’s a strong argument for suggesting that it is – in some ways – a retort to the criticisms of inauthenticity that have been levelled at here. Born in New York City and raised in LA, some critics have taken this to mean that the adoption and assimilation of the old-time roots in her music must somehow be fake, is somehow a deception. References to being “the pretender”, “the traitor”, “queen of imitators” could certainly suggest that was on her mind when writing the song, but clearly these are criticisms that she doesn’t accept, the song is a defiant riposte to those criticisms, and good on her for that. For me her music is a thing of sublime beauty, something certainly earthed in a lineage that looks back to those roots, and is totally true to them, but which is still about now, and to which 21st century listeners (myself included) can totally relate to. As with many (most) of Gillian’s songs, this is performed with just herself and her long-time musical callaborator Dave Rawlings. Two people, two voices, two acoustic guitars (and Rawling’s playing is never less than stunning, incendiary when played live, as these recordings testify – 1, 2), the song is stark, but beautiful for it. A song that wraps you and engulfs you, something to lose yourself into. And so to the song sheet. As I said earlier, this is something that I pulled together in response to request, and it did prove a little tricky. I’m still not 100% convinced by it (in particular the Am and “Am/C” at the end of the first two lines of the verse), but I think it sounds OK. The D definitely sounds better as the barred D (2225), but will still work with the standard one (2220). Clearly these are just the chords, and I haven’t attempted in any way to transcribed Dave Rawling’s licks and solos, but if you want to have a go at that be my guest. Enjoy! * Previous songs published here include April the 14th (Part 1), Look at Miss Ohio, and No One Knows My Name. Categories: Country | Tags: 2000s, 2001, Country, Gillian Welch, Singer-Songwriter, ukulele | Permalink. Whilst it is often true that the best version of songs are the originals, by the original writers, that isn’t always the case. Bob Dylan is probably a case in point – great songwriter that he is, his own recordings of his own songs aren’t always best, and covers (taking The Byrds as a case in point) can add to and improve on the originals. Femme Fatale is – for me – another song that falls into that category. 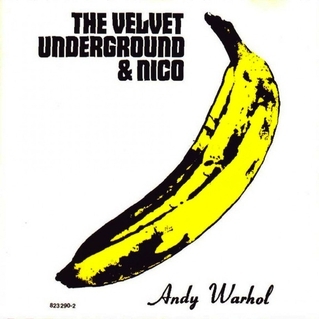 The song was originally written by Lou Reed, and appeared on the Velvet Underground’s 1967 debut album “The Velvet Underground and Nico”, sung by Nico. I guess it’s that “sung by Nico” bit that does it for me – her voice is definitely an acquired taste, and not one that I’ve acquired! Not much to say about the song sheet. It’s a very simple song, and with all those maj7 chords it can’t fail to go wrong. Enjoy! As can be expected for such a classic song, there are plenty of ukulele versions out there. Some good, some bad. But this is my favourite, as I think it really captures the feel of the original (but with a decent vocal!). 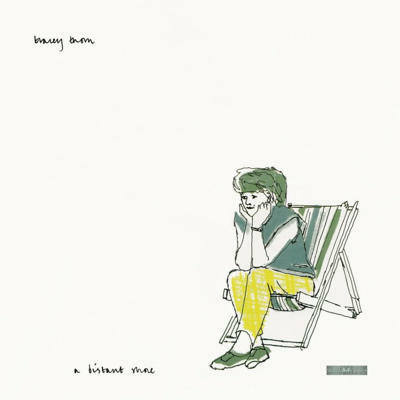 Categories: Singer-Songwriter | Tags: 1960s, 1967, 1980s, 1982, Pop, Post-Punk, Singer-Songwriter, Tracey Thorn, ukulele, Velvet Underground | Permalink. I’ve waxed lyrical about U2 in the past, and for years, despite their hugeness as a band (or maybe because of it) that’s felt a desperately uncool position to take. Not that being cool is something that I’m overly concerned about, but they’ve certainly attracted their fair share of detractors. I can understand that to an extent – reaching as big an audience as possible has always been in the DNA of the band, and the idea of being a culy favourite is almost anathema to them. So the things they’ve done and the stunts they’ve pulled to maintain that position have sometime rankled. And that’s before you get to Bono’s “do-gooding” and the tax situation. Those are easy things to pick fights on, but personally (and as a fan I declare a relative lack of objectivity here) I think the almost instinctive U2-hating knee-jerk reaction has become a lazy conformance to stereotype. The recent launch of their new album “Songs of Innocence” into 500 million iTunes accounts, unbidden, was greeted with the to-be-expected cries for these vociferous haters. But it’s been interesting over the last month or so, after the initial noise died down, to see how many people are discovering (or rediscovering) the band as a result of the stunt. Which to a certain extent justifies the action. Certainly Bono has commented that the band were afraid that this collection of songs (some of their most personal in recent times) wouldn’t be heard, and that they wanted to get them out there and give people a chance to hear them. People certainly had that chance, even if they chose not to take them up on the offer. The album is one that looks back, as the title suggests, to the early days of the band and its members as they were growing up. In that sense it is a concept album, although not with the overblown pretentions that might be associated with such a label. For what it’s worth, I think it’s their strongest collection of songs for quite a while. 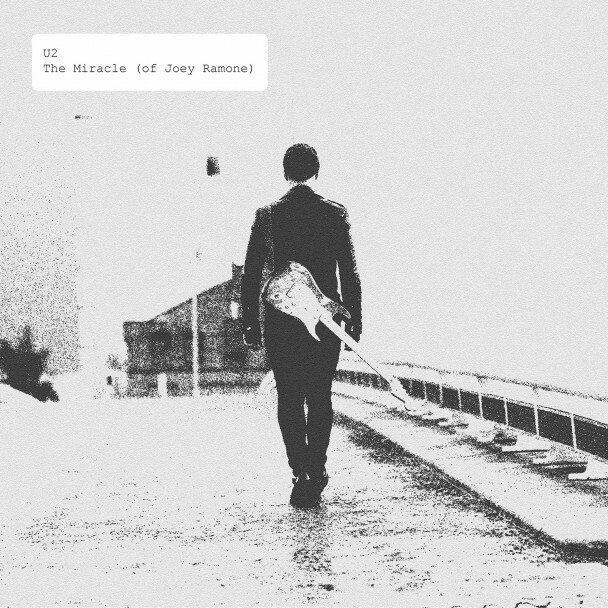 “The Miracle (Of Joey Ramone)” harks back to the early days of punk, and crytalises the bands (and particularly Bono’s) reaction to the adrenalin rush of that music, and in particular the sounds of The Ramones – “the most beautiful sound I’d ever heard”. Whilst some may accuse them of bandwagon jumping, the Ramones were a significant influence on U2 right from the beginning, even if that’s not immediately obvious in the band’s sound in general, and in this song in particular. And the tribute is certainly appreciated by those who knew Joey Ramone. So here’s the songsheet. I’ve actually based this around the “(Busker Version)” included as part of the Acoustic sessions on the deluxe version of the album. I can’t find a copy of that on YouTube (here’s a Spotify link), but listen to this version from a recent BBC session with Jo Whiley, or this version from an Italian TV performance. The songsheet probably makes more sense when listening to these versions, and being familiar with the song will certainly help in getting a feel for how to play it. A few notes though. The [Asus4] bits at the end of each line in the chorus are a couple of grace notes that – to my mind – add something at that point (and are prevelant on the busker version). The [A5] is a power chord, and the song probably works well with power chords throughout, but some of them are hard to play on the uke(! ), so I’ve only kept it in for the unaccompanied riff bit. Also I’m not totally convinced about the chords in the “We can hear you…” bit, but they sound OK. Enjoy! Categories: Rock | Tags: 2000s, 2014, Rock, U2, ukulele | Permalink. And so it’s back to the 80s. Again. As I might have said before, my view of “the 80s” seems to bear only a passing resemblance to the popular cultural view of what that decade was like. But having lived through that decade, it seems to me that the popular memory of it has become somewhat skewed and selective. Yes there were shoulder pads and leg warmers, rubiks cubes and De Lorean’s (although not many in my neck of the wood, I can tell you). But those things seem to have become lazy catch-alls for a decade that I remember as being somewhat darker and more varied than that. I recently went to see the film Pride, a film focussed on the unlikely but true alliance between a London-based gay and lesbian group, and striking mine workers in South Wales. For me that film captured the essense of the 80s as I remember it. Helped by the fact that it has a cracking musical soundtrack! One of the tracks on the “Music from and Inspired by…” soundtrack album is this little gem from 80s synthpop duo Blancmange. Duos of this sort were all the rage at the time (Soft Cell, Yazoo, Tears for Fears, etc. 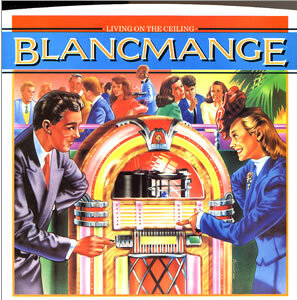 ), and Blancmange have somewhat fallen off the radar compared to their compatriots. But this is a great little pop song, made particularly memorable by the middle-eastern flavour (something that, according to the band’s Neil Arthur, was a mistake that stuck). The song itself is just two chords – what could be simpler! However I’ve also transcribed the instrumental melody line, something that is a very distinctive part of the song. It goes a bit high up the fret board at one point, but worth giving a try. I’ve also included it in two keys – one in the original key (B) and one in C that makes it a little easier to play. Enjoy! Categories: Synthpop | Tags: 1980s, 1982, Blancmange, Synthpop, ukulele | Permalink. OK, so you’ll know by now that this isn’t the usual kind of thing to pop up on here. But for a number of reasons I thought this appropriate. Firstly, this was suggested by Sarah, one of my fellow Flukes, at a band practice on Thursday evening as something we might do. So I dug it out (not being overly familiar with chart pop these days) and it seemed like something that might work. UPDATE : It really does work! Here’s some video of The Flukes performing the song at Southampton Ukulele Jam’s Christmas Cabaret back in December. Secondly, on looking the song up I came across this version, which is Meghan singing the song live, accompanying herself on a ukulele. So clearly it’s a song for ukulele! Finally, the theme of the song – about having a positive body image regardless of your size – is one that resonates a little too painfully at the moment. My youngest daughter has been suffering from anorexia for the last three years, and it has been something of a tramatic journey, both for her and us. It’s a highly misunderstood illness, and often comes with a whole load of other related conditions, of which poor body image is one. So it’s a subject I’ve become somewhat more sensitive to of late. Consequently this song gets a strong thumbs up in my book. Contrary to the “wisdom” of the internet, the song isn’t about encouraging people to be big/fat, it’s about accepting your body shape for what it is, and making the most of it. Yes, for sure there are people who would benefit from losing weight, no one would deny that. But there are others, maybe just as many, for whom not having this level of acceptance leads to a downward spiral of weight loss and self-abuse, something that might start with good intentions but soon becomes an uncontrollable monster that takes over their lives and consumes everything. The reasons for people developing conditions such as anorexia are many and varied, and one little pop song isn’t going to change that. But if it encourages debate and thinking about the need for positive body image, then that has to be a good thing. So here’s the song sheet. It’s a simple, straightforward song, nothing tricky from a chords point of view. You might want to polish off your rapping chops to get the feel for the song as a whole, but what ever you do, give it some attitude. I’ve put the song in two keys – the first (A) is the same as the original recording. The second (G) is the key that Meghan plays it on the ukulele (listen here). Enjoy! 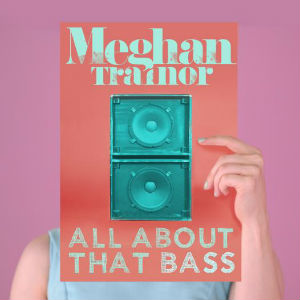 Categories: Pop | Tags: 2000s, 2014, Meghan Trainor, Pop | Permalink.